Does Cowell’s PR machine have the X Factor? I’m as big a fan of the X Factor as the next person, possibly bigger having yesterday cajoled the team here into joining in an X Factor sweepstake (I got One Direction). 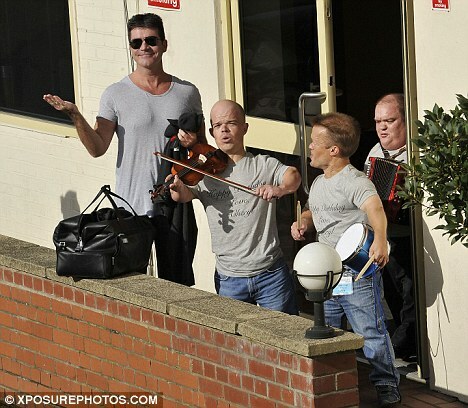 I have to admit that I’m also quite the fan of Mr. Cowell, the puppet master extraordinaire. As a fan and member of the dark arts of PR, I’m currently torn and struggling with a moral dilemma. The X Factor PR machine is a sight to behold and has dominated the news agenda since before the latest series even began. The campaign that has been built and is being executed around the show is the most well oiled of machines. Whether it be the spin around the nation’s sweetheart getting malaria or the ongoing ‘feud’ between judges, the show unapologetically dominates the headlines in a relentless fashion. So, on the one hand I have to doff my cap to the team for pulling it off yet again and getting the kind of coverage which no client could quibble with. But on the other hand, I have to question the moral approach to their tactics in taking no prisoners to get the column inches that the show’s creators demands. I’m probably opening myself up to a barrage of abuse here, but in the era of openness, integrity and public engagement, the tactics employed by those behind the X Factor can’t help but jar a bit. A case in point has to be the latest charade around Gamu Nhengu, the young contestant who was presented to us as a frontrunner in the competition from the first episode. Her rise to fame has been carefully built – her first audition was subject to much discussion because of the use of auto-tuning technology, this then disappeared from any other episode so we were groomed to notice this as a point of difference. This was coupled with a semi-emotional story of Gamu’s quest to escape to the safety of Britain, marking her out as one of the lead protagonists in the carefully scripted show we like to call ‘reality TV’. Along the way we see various other good, bad and ugly performances before we reach the stage of the competition where Gamu comes back to fight for her five minutes of fame. You’d have to be hidden under a rock to have missed what happened next but in a nutshell, our new favourite underdog was cast aside to make way for Cheryl Cole’s very own mini-me and the ‘baddie’ that is Katie. Cue dramatised reports of Gamu’s imminent deportation from the country alongside stories of her ‘wildcard’ re-appearance in the competition. To those who haven’t yet succumbed to the cynicism that the X Factor can instil, Gamu’s exclusion is a misjudgement of the highest proportion. To others, it’s yet another incredibly well played tactic to own the tabloids once again and generate a lot of chatter on Facebook and Twitter. On paper, this campaign is genius. The ‘product’ hasn’t been out of the media spotlight, has taken the audience on a rollercoaster and sparked a significant and very real emotional relationship with the audience. Only this isn’t a product, it’s a young girl dreaming of making it big in the profession she has set her sights on. And so back to my moral dilemma. The story that has unfolded is an incredibly well executed PR campaign which no doubt achieves its objectives. But is it also a dark and quite disturbing indictment of just how much the contestants have become a prop in a PR game? It’s of course recognised by most that the show has long been a 12 week soap opera and really has nothing to do with finding a pop star, but you do have to wonder whether the contestants themselves can see it like this. I love the show and I respect the Cowell machine for doing a job so well, but it is staring to leave a slightly sour taste in the mouth in the era of transparency. Thanks Jeremy, glad you enjoyed. The X factor is with out doubt good entertainment. I feel the huge amount of money connected to this show is obscene. Especially in a time of financial hardship for most people. Cowell and his team do a great job and I have no problem with him and then getting well paid. However the the revenue from just the phone calls is I feel immoral and unnecessary it takes a little from a lot and I would imagine the people that vote are the people that can least afford it. This type of entertainment would be more enjoyable if the calls where free and the judges made it less about them and more about the contestant.